While on assignment in South America, photographer Mark Edward Harris had a chance to check out two of Patagonia’s most iconic wilderness hotels. CHILE – It’s been a decade since the portmanteau “glamping” made its way into mainstream vernacular. 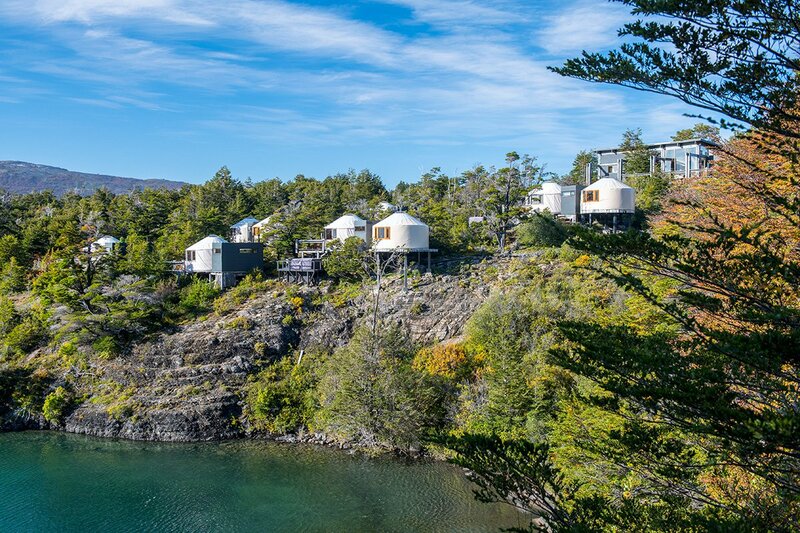 South America’s first hotel to be recognized in this category, Patagonia Camp, epitomizes the confluence of traditional camping with resort-style pampering. Twenty-first century travelers seeking the luxuries of a nice hotel and the adventure of the wilderness will find the two live in harmony on this private, 84,000-acre reserve. The ecofriendly operation allows for intimate contact with nature while making every effort to avoid negatively impacting the surrounding environment (i.e., through an organic water-treatment plant and recycling procedures). Patagonia Camp bathed in late afternoon light, a welcome sight after an eight-hour hike in the Torres del Paine Massif. The interiors of a typical yurt at Patagonia Camp. 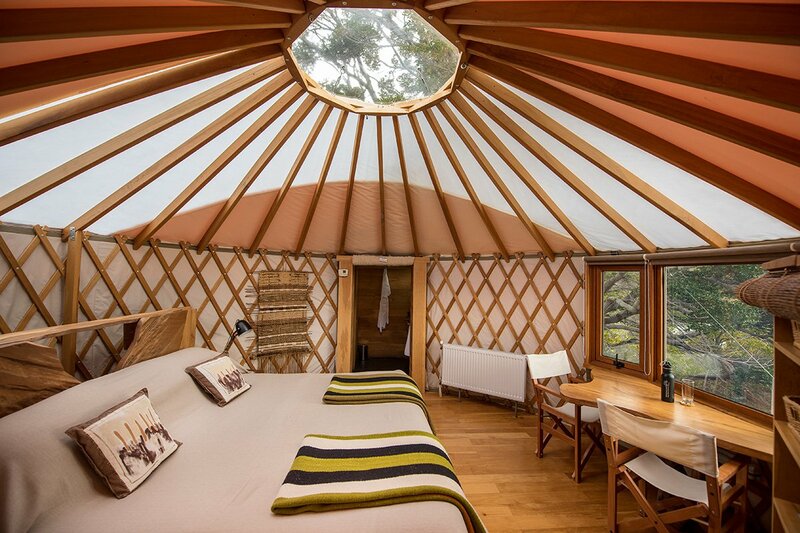 Ten miles from Torres del Paine National Park, on the banks of Toro Lake, Patagonia Camp has 20 Mongolian-style luxury yurts decorated with locally handcrafted fabrics and furniture, with central heating and en-suite bathrooms. I was tempted to stay within the confines of the camp itself for an extra day of R&R, but Torres del Paine is too rich in nature and photo ops to not venture forth, camera in hand. 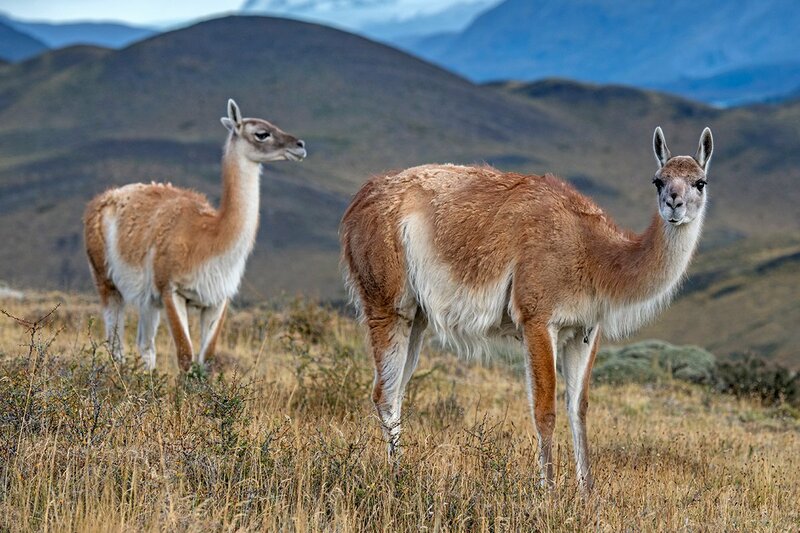 For the next three days, dramatic landscapes and hundreds of guanacos filled my frames. On the last day, an eagle-eyed Patagonia Camp guide spotted a pair of pumas in what appeared at first glance to be just a twisted jungle of branches and shrubbery. Time seemed to both speed up and slow down as I attempted to stealthily move into position to get a shot with my Nikon D850 with a Sigma 150-600mm attached. A few frames and seconds later, he or she was gone. But the memories of this encounter with one of nature’s most elegant creatures will last a lifetime. 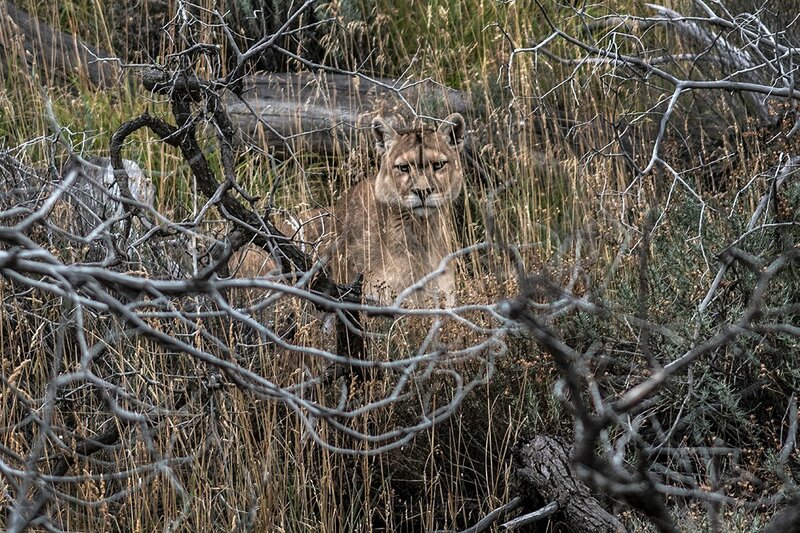 A puma keeps a watchful eye in Torres del Paine National Park. 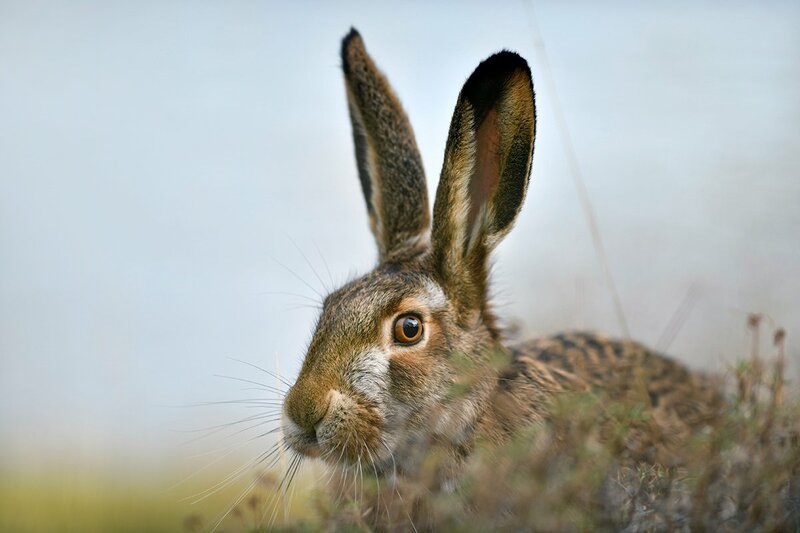 A brown hare in Torres del Paine National Park. 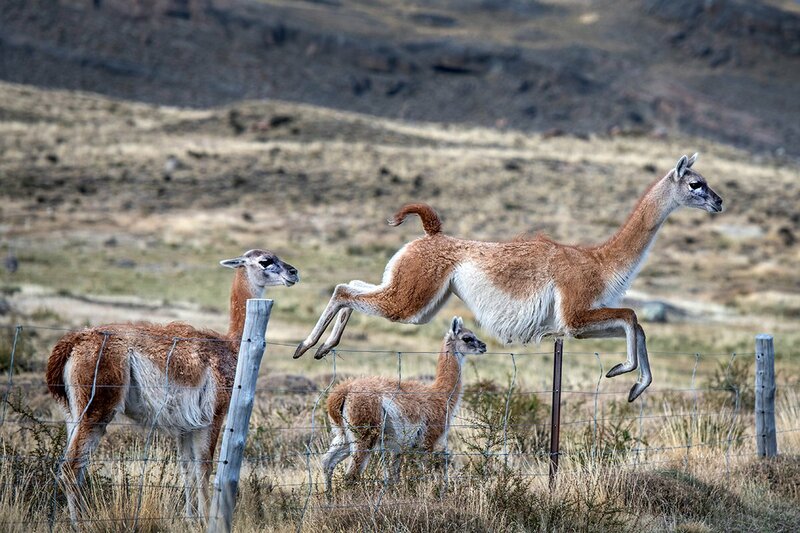 A fence separating private and public land in Torres del Paine is no match for an athletic guanaco. At the opposite end of the region, in what could be referred to as the entrance to or exit from Patagonia, depending on one's perspective and itinerary, is the island of Chiloe. I based myself at Tierra Chiloe, a world-class boutique spa and lodge ideally situated to explore both the area’s unique culture and Chiloe National Park, home to a great diversity of marine life, including blue and sei whales, sea lions, marine otters, Magellanic and Humboldt penguins, and Chilean and Peale's dolphins. Like Patagonia Camp, the Tierra Chiloe itself is an ideal getaway destination. 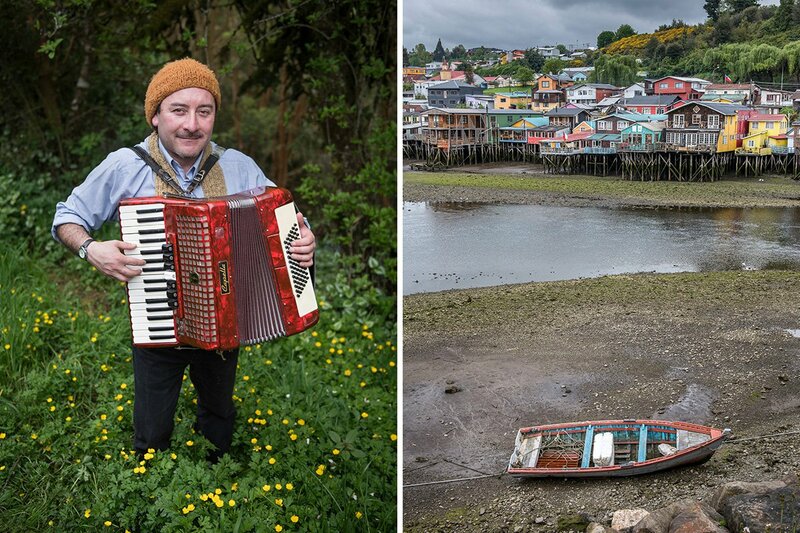 An accordionist plays traditional music on the Patagonian island of Chiloe; low tide in Chiloe. While the term glamping is new – it wasn’t added to the Oxford English Dictionary until 2016 – the concept is not. The Ottomans had palatial tents with magnificent carpets transported from one military engagement to another. In the 16th century, the Field of the Cloth of Gold was created in northern France, for a diplomatic summit between Henry VIII of England and Francis I of France, with more than 2,500 tents, while the Earl of Atholl pitched lavish camps in the Scottish Highlands for the visiting King James V and his mother. In the 1920s, wealthy Americans and Brits headed out on African safaris with champagne, folding baths, and netted beds in luxury tents awaiting their return from daily jaunts into the bush. 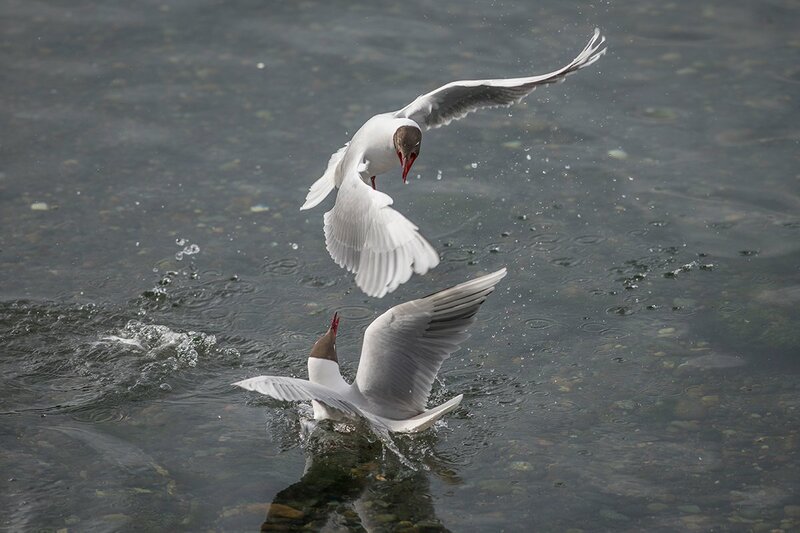 Birds battle in the waters off of Chiloe. Sunset from the deck of the Hotel Tierra Chiloe on the island of Chiloe. 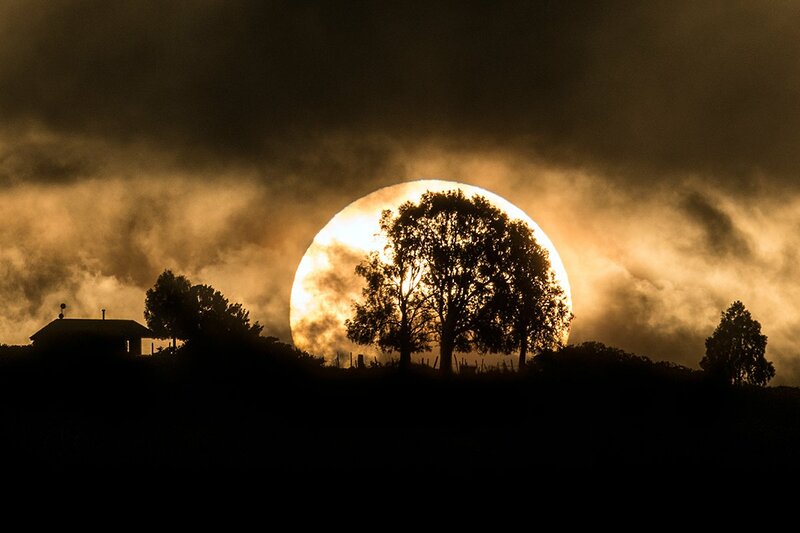 A dramatic sunset from the deck of the Tierra Chiloe bookended my exploration of seeing Patagonia in style. 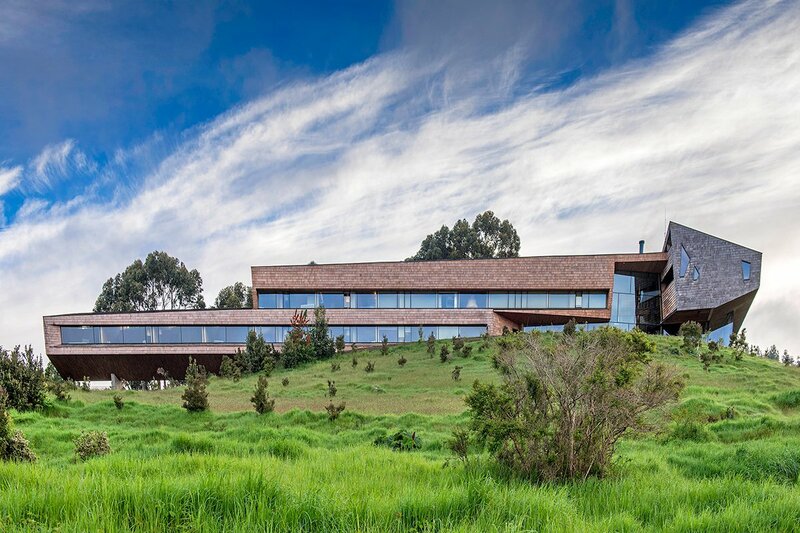 When understated luxury and nature live in harmony,m as they do in this part of Chile, travelers have the best of both worlds. Rates change seasonally and start at $243 per person per night based on double occupancy for Patagonia Camp and $750 per person per night including all meals, guided excursions and transfers based on double occupancy for Tierra Chiloe. For help planning your trip, get in touch with the Fathom Travel Concierge. Mark is an award-winning photographer based in Los Angeles. You can follow him on Instagram. He travels for the opportunity to document daily life around the world — 98 countries so far — focusing his efforts on stories that most often don’t make the headlines, but are an integral part of the human experience.